Some state and local laws specify requirements for headlamp aim. Comply with all of these laws when performing any headlamp aiming operations. When a new headlamp capsule is installed. 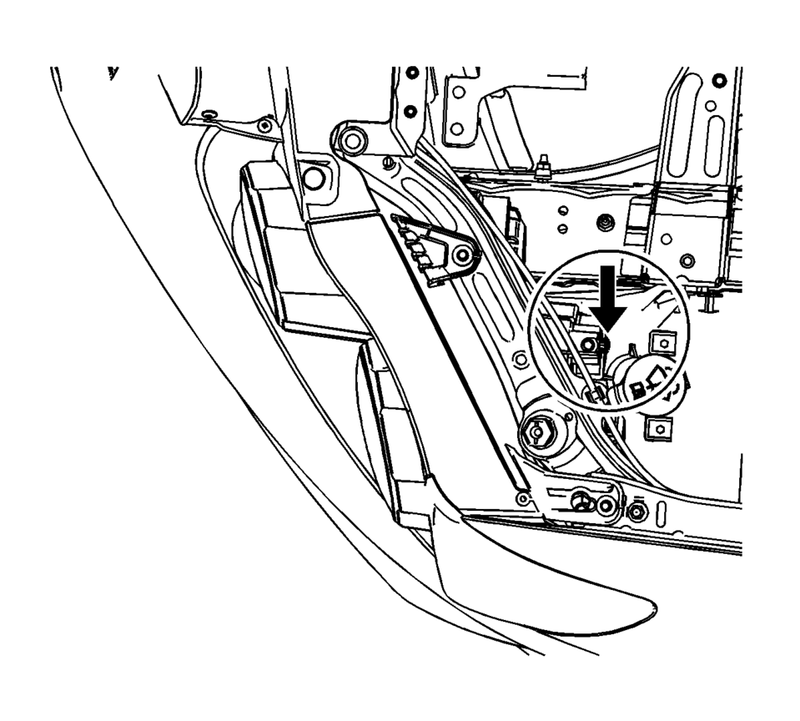 If service or repairs to the front end area have, or may have, disturbed the headlamps or their mounting. 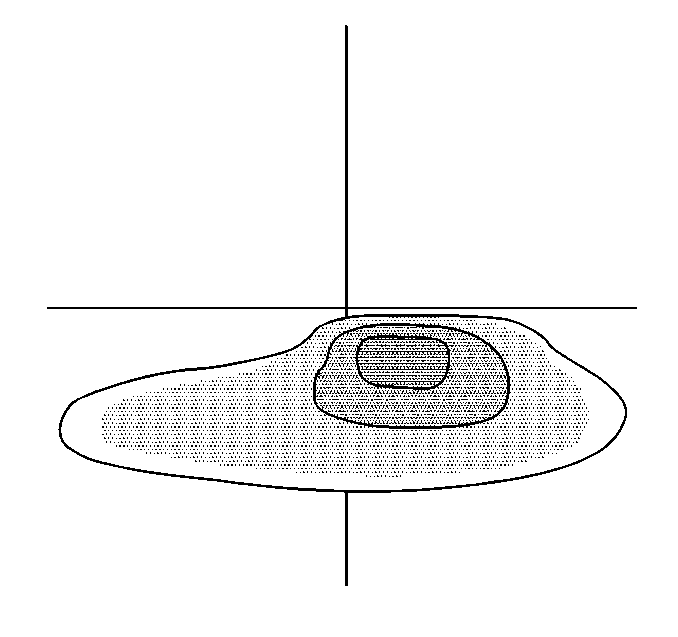 The area will consist of a level surface large enough to allow for a vehicle and an additional 7.62?€‰m?€‰(25 ft) measured from face of lamps to the front of the aiming screen. The screen will be 1.52?€‰m?€‰(5 ft) high x 3.66?€‰m?€‰(12 ft) wide with a matte white surface well shaded from extraneous light, and properly adjusted to the floor on which the vehicle stands. Provisions should be made to align the aiming screen parallel with the vehicle. The screen shall be provided with a fixed vertical centerline, two laterally adjustable vertical tapes, and one vertically adjustable horizontal tape. If a regular commercial aiming screen is not available, the screen may consist of a vertical wall having a clear uninterrupted area approximately 1.83?€‰m?€‰(6 ft) high and 3.66?€‰m?€‰(12 ft) wide. The surface should be finished with a washable non-gloss white paint. 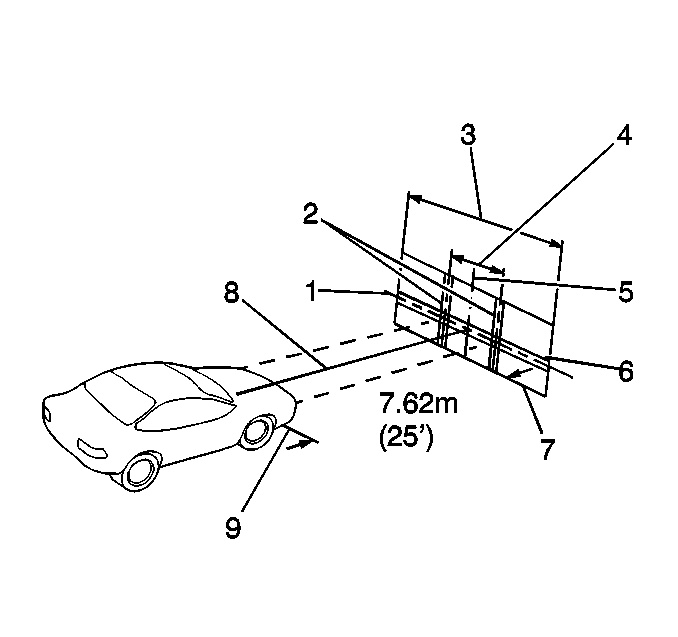 The vehicle must contain approximately 75?€‰kg (165?€‰lb) on the driver seat. Measure from the floor to the center of the headlamp bulb. Some headlamps have an aim dot marked on the headlamp lens. DO NOT cover the headlamp. This may cause excessive heat build up. Turn ON the low beam headlamps. 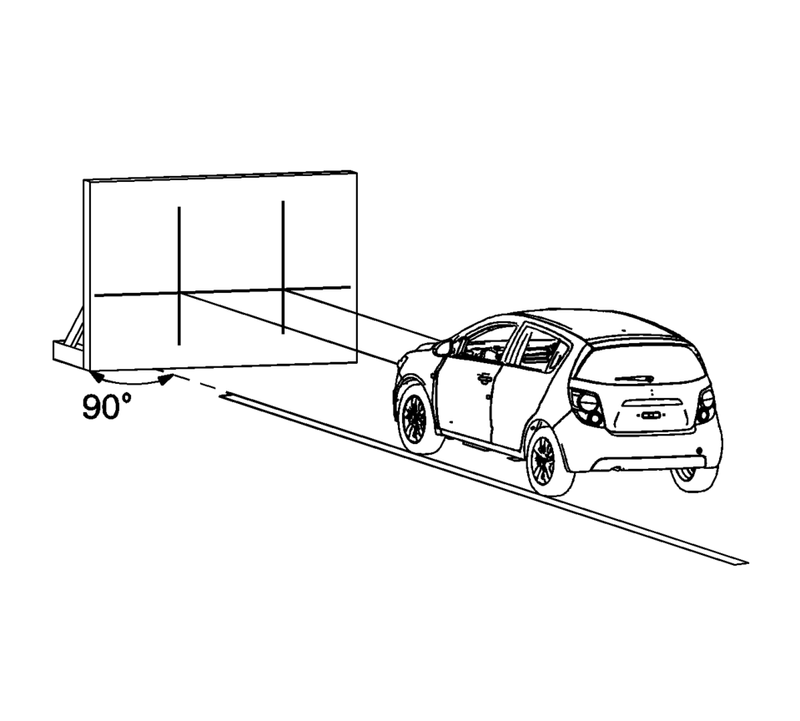 Block the light from projecting onto the screen from the passenger side headlamp. 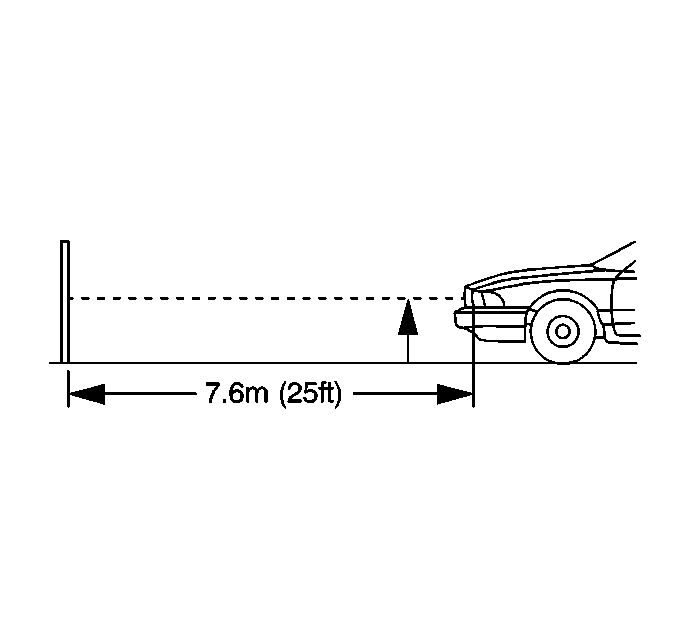 Adjust the vertical aim screw ( as shown by the arrow ) of the headlamps to the specifications required by the state and the local authorities, or as shown in step number?€‰8. Repeat the aiming procedure for the passenger side headlamp while blocking the light from projecting onto the screen from the driver side headlamp.